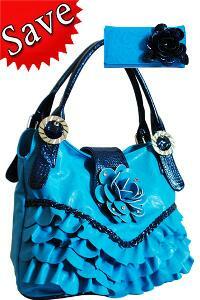 We are offering ruffled flower fashion handbag with wallet turquoise. 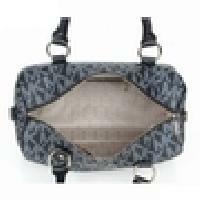 Having excellent reusability, these Used Ladies Handbags are acclaimed for their vivid color combinations and exceptional weight bearing capacity. 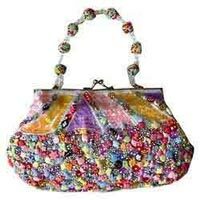 These Used Ladies Handbags are procured from the best names in the Sector. 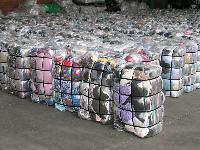 We are a reliable Supplier and Exporter of Used Ladies Handbags. We are offering leather ladies handbags. Cow hide tanned leather and finished leather goods. 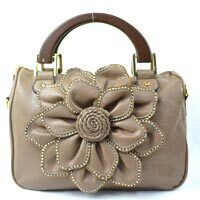 We bring forth our exclusive collection of Ladies Leather Handbags in varied sizes and different shades of brown. 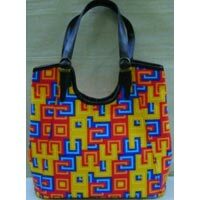 Apart from that, Ladies Leather Handbags are available in unique designs and patterns. 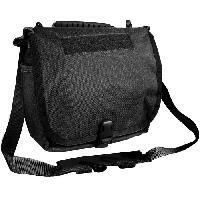 They are spacious and can accommodate all the necessary items. 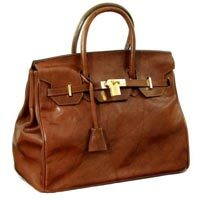 Ladies Leather Handbags look elegant and classy. They are offered at pocket-friendly prices. 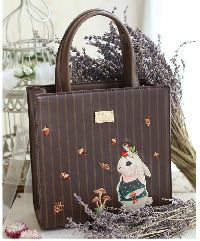 Durable in nature, our Wooden Handbags are manufactured after thorough research and development. 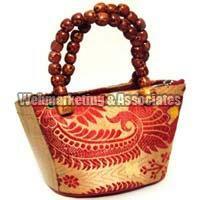 We offer our Wooden Handbags in a variety of patterns and sizes. Our innovative Wooden Handbags are easy to carry and a perfect thing to be with on a bright sunny day-out. We offer our appealing Wooden Handbags at affordable prices. 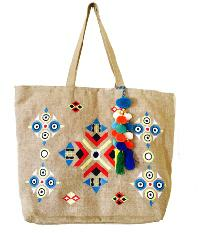 Our company is a prominent Exporter & Supplier of Jute Handbags . 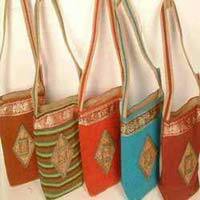 We source the Jute Handbags from famous vendors. Fabricated using 100% pure jute material, these Jute Handbags are highly attractive, durable, sturdy, light weight and spacious. 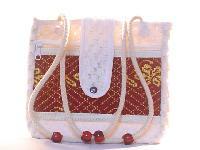 The Jute Handbags are available in a huge range of interesting patterns, designs, colors and sizes. 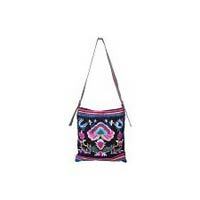 Our purse category includes purses, handbags, pocketbooks, backpacks and tote bags. 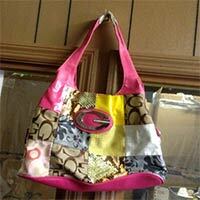 Many famous brands are included such as Coach and Michael Kors and there are many current styles and nice colors. 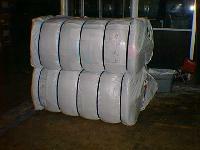 Our purses are sold in polypropylene bags, each filled bag weighs approximately 80 pounds. Ladies’ Cowboys Handbags that we offer are made using high-grade fabric and advanced stitching machines assuring the best quality. Our Cowbags Handbags are easy to carry due to their comfortable grip. We make available Cowboys Handbags in different attractive colors, designs and shapes so as to meet the diverse demands of buyers. 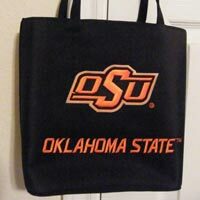 We can provide Ladies’ Cowboys Handbags in boith small and bulk quantities . 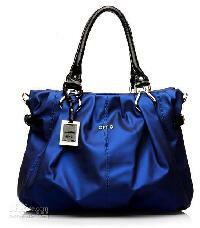 Ladies Leather Handbags are made of a durable and strong fabric with two straps and a large storing space. 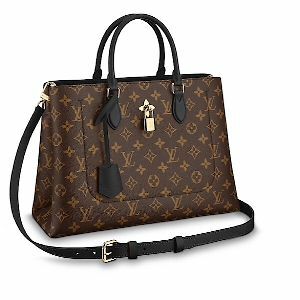 An emerging name in the market, our organization is involved in offering Ladies Leather Handbags within the most lucrative deals. 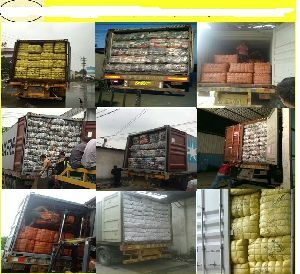 We make sure that the payment transaction of our customers, whether online or offline, is secured with us. We accept payment through all major payment modes. 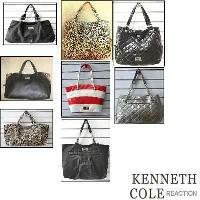 We offer Fashion Handbags. As a one-stop women’s fashion products shop ForTrendy offers everything from wholesale fashion handbags to designer shoes and accessories to beautify the women. European style leather handbag, custom made. Available in different sizes. 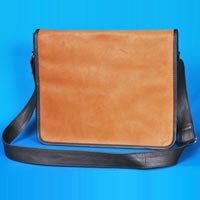 Our company is one of the well-known Manufacturers, Exporters and Suppliers of Non Woven Leather Handbags in California as well as the rest of the USA. We use the best quality of raw materials to manufacture the finest Non Woven Leather Handbags. 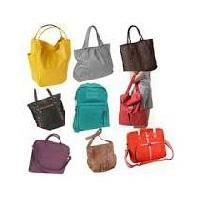 Our range of Non Woven Leather Handbags is very popular indeed among our clientele.